and its change, its universality and its particularity. 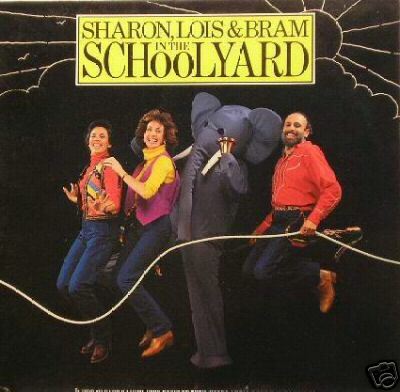 efore we became Sharon, Lois & Bram, we spent most of our professional lives working individually with children and music. And now, every year when our concert season has ended, we return, again individually, to the children in their classrooms and schoolyards to make music together and to learn from each other. We have the good fortune to live in a cosmopolitan urban community with a rich racial and cultural mixture. And so, every year we are rewarded with many surprises, many new treasures. We discover the irresistible clapping game like Miss Sue, or what has happened to Punchinello since we were schoolchildren ourselves, or we are reminded of the excruciating silliness of the tongue twister. Our visits back to the schoolyard refresh and revive us, giving us the chance to share this unique cultural heritage and, through our records, pass it along from one schoolyard to another and from generation to another.